Corofin are the 2015 AIB All-Ireland Club SFC Champions after a convincing 1-14 to 0-7 win over Slaughtneil in Croke Park. We go through what went wrong for Slaughtneil as well as the reasons for Corofin finally reclaiming national honours. We also hear from Ryan McCluskey on Fermanagh’s recent good form as well as an update on his new business venture, Tagit Stats. 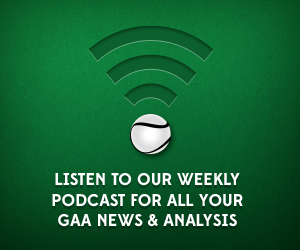 The show is hosted by GAA Scores’ Conor Donnelly, alongside Ryan McCluskey and Niall McCoy.